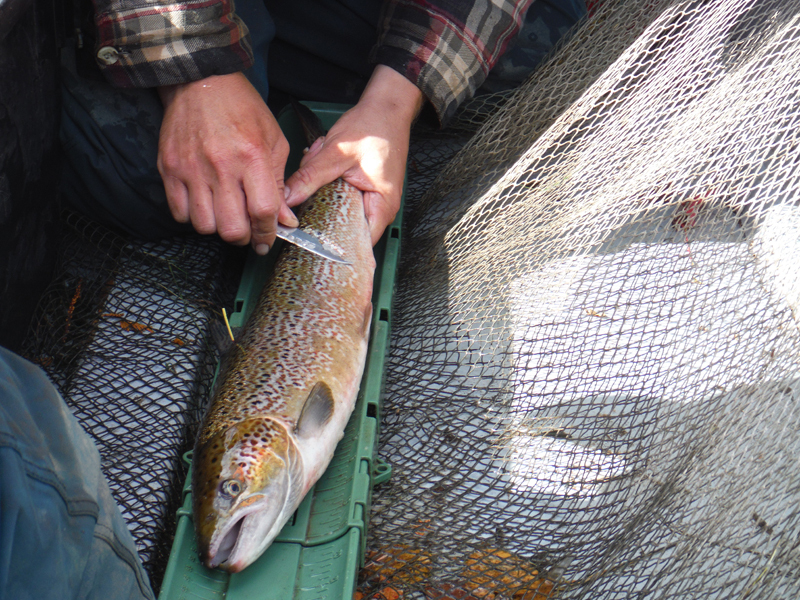 fin clipping and stocking of salmon fry. 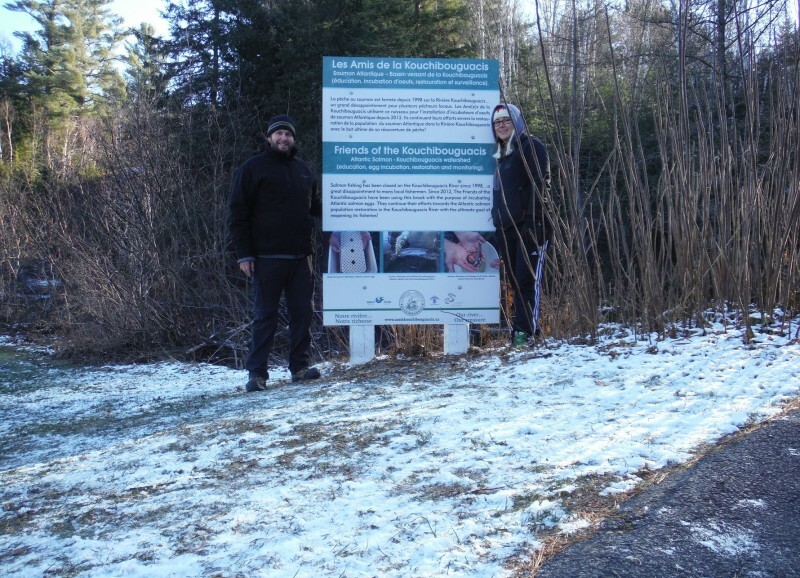 Informative sign installed in 2015 next to the Ruisseau de la Truite in the St-Ignace golf course. 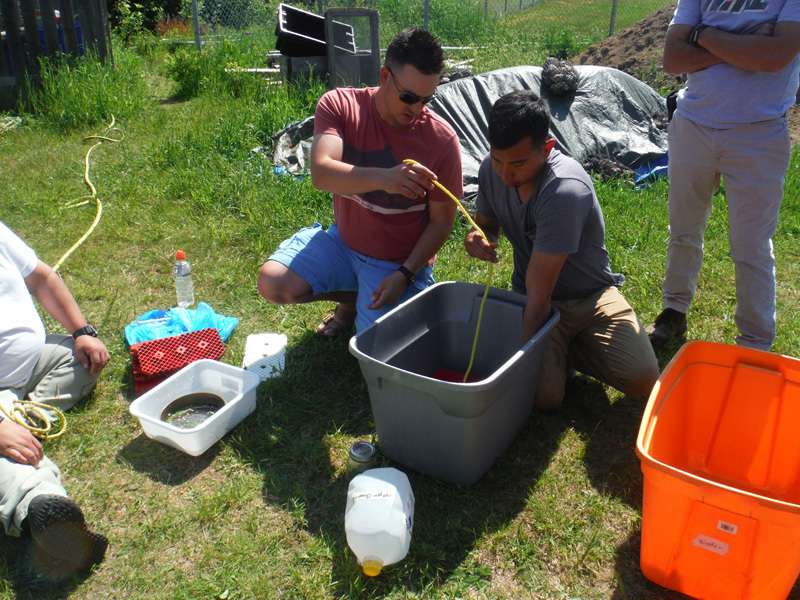 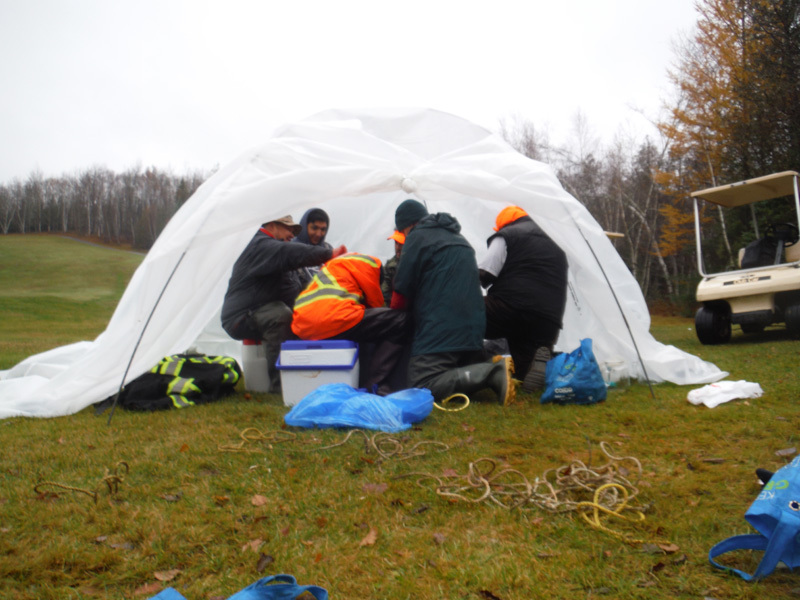 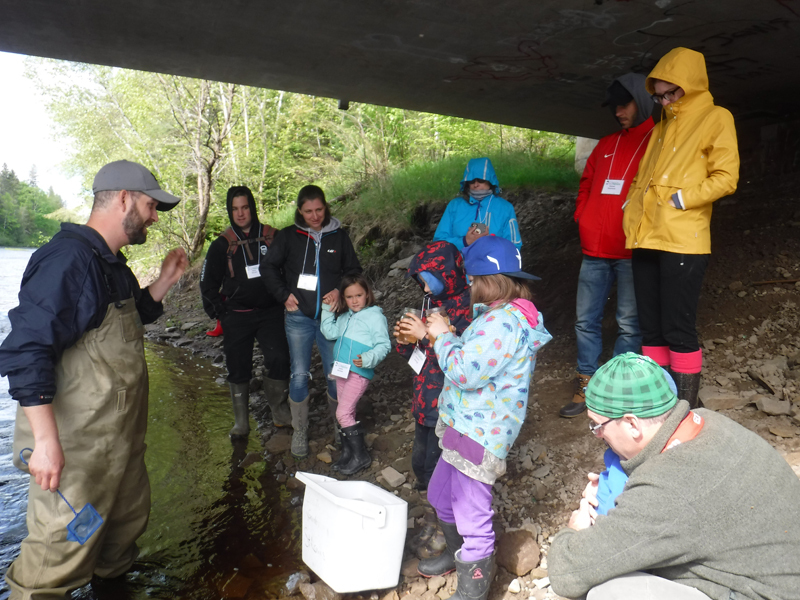 These activities have been possible thanks to numerous established partnerships, the sharing of indigenous knowledge and the generous volunteer work from residents and students from local schools. 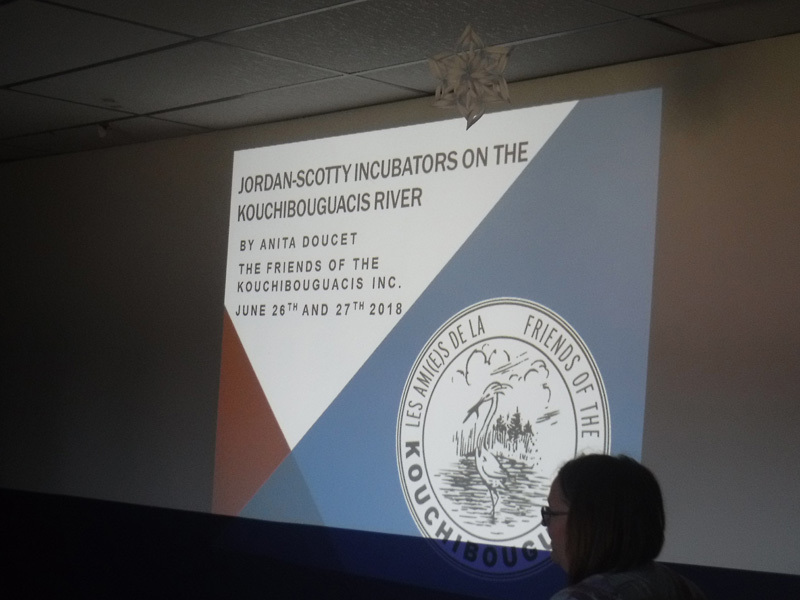 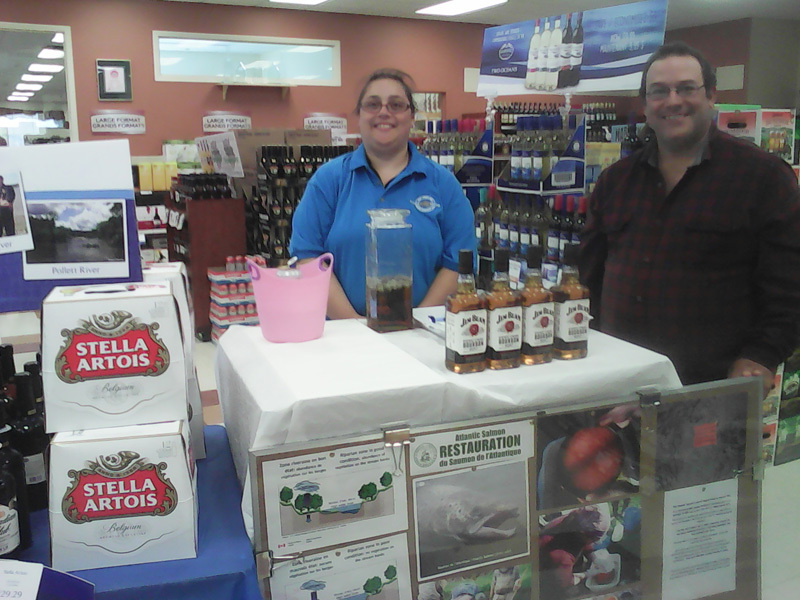 We are proud to collaborate with Kopit Lodge and Kouchibouguac National Park towards the success of this project. 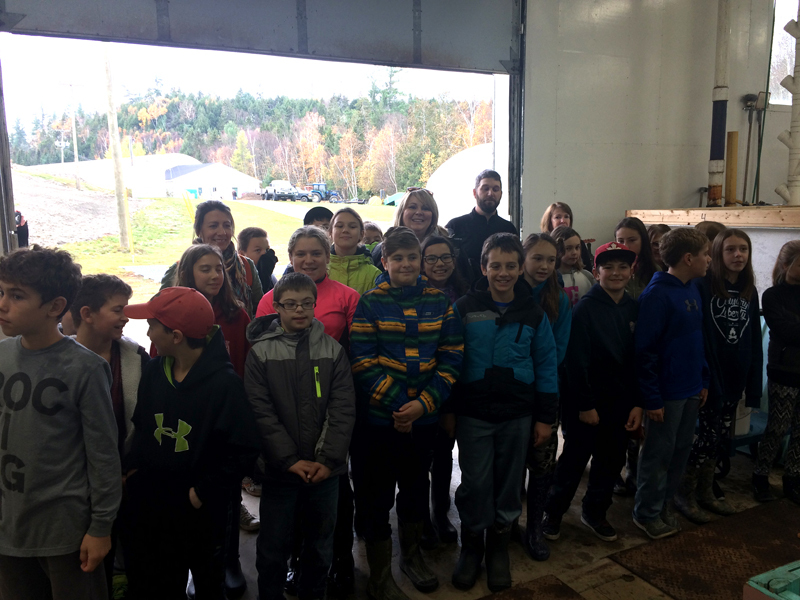 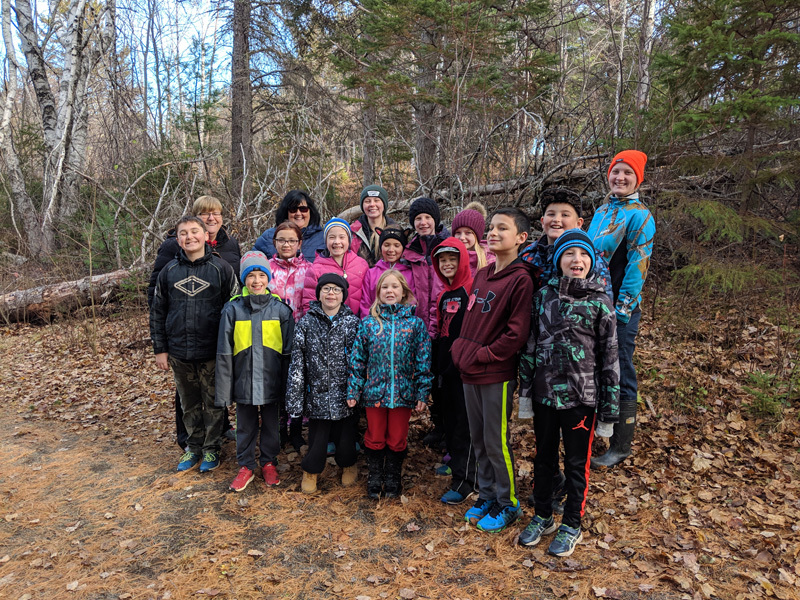 TFK have also been involved in stewardship activities such as workshops, meetings, kiosk sessions, beach sweeps, waterfront property consultations, several in-class presentations and field trips offered to students from local schools. 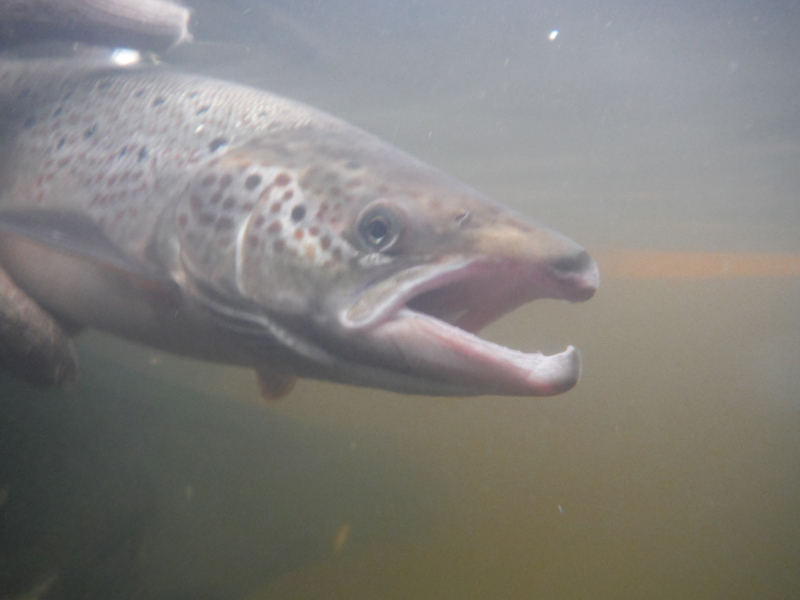 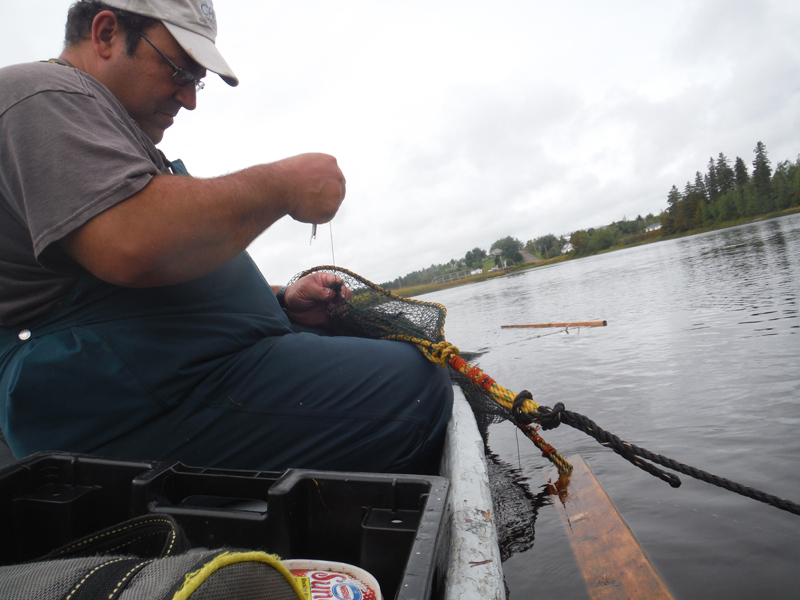 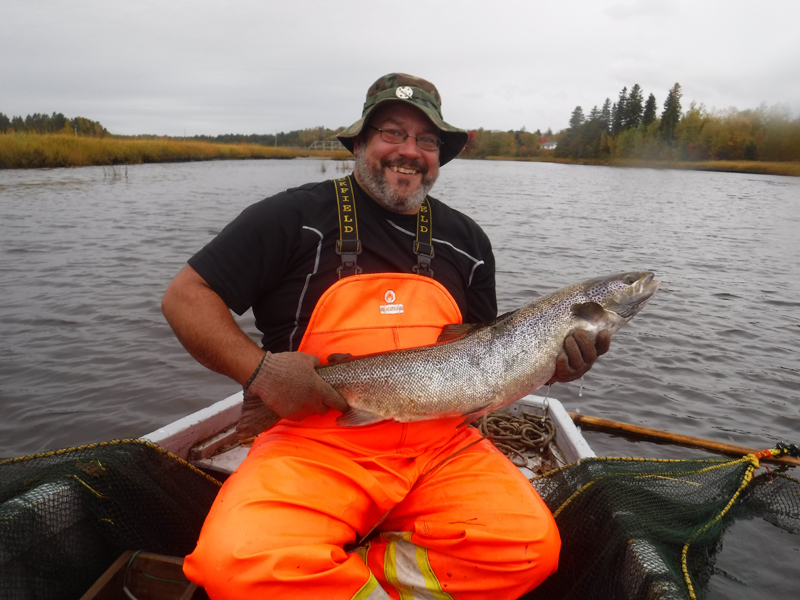 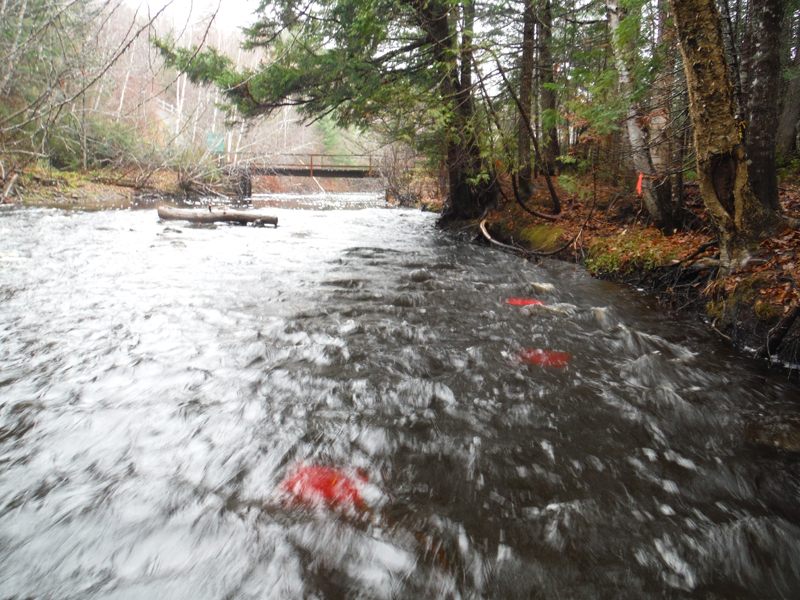 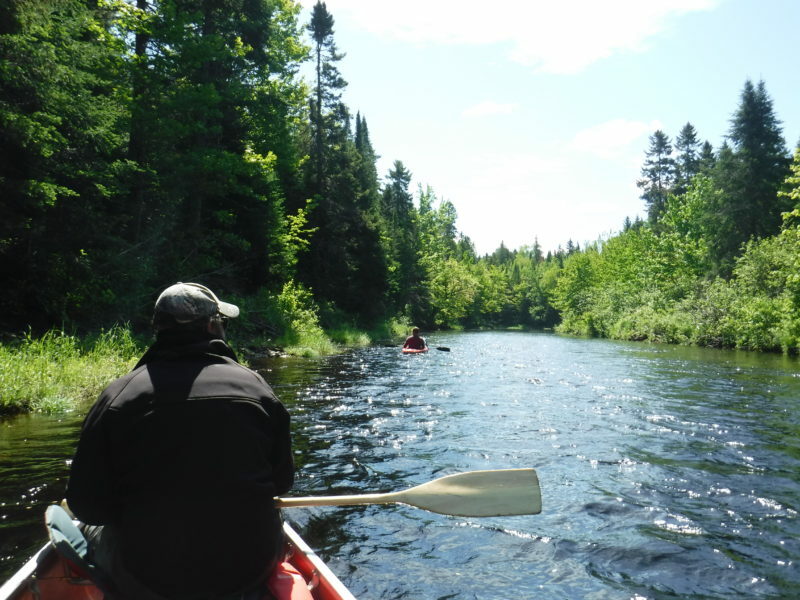 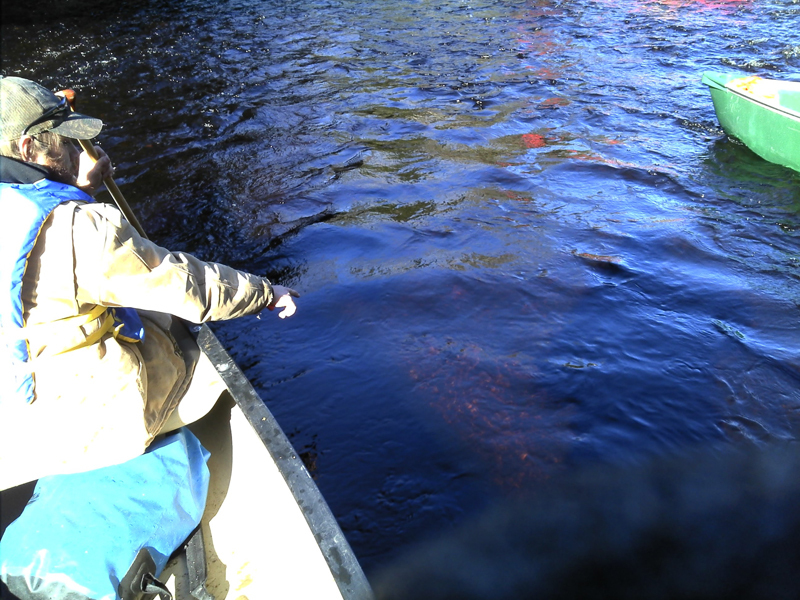 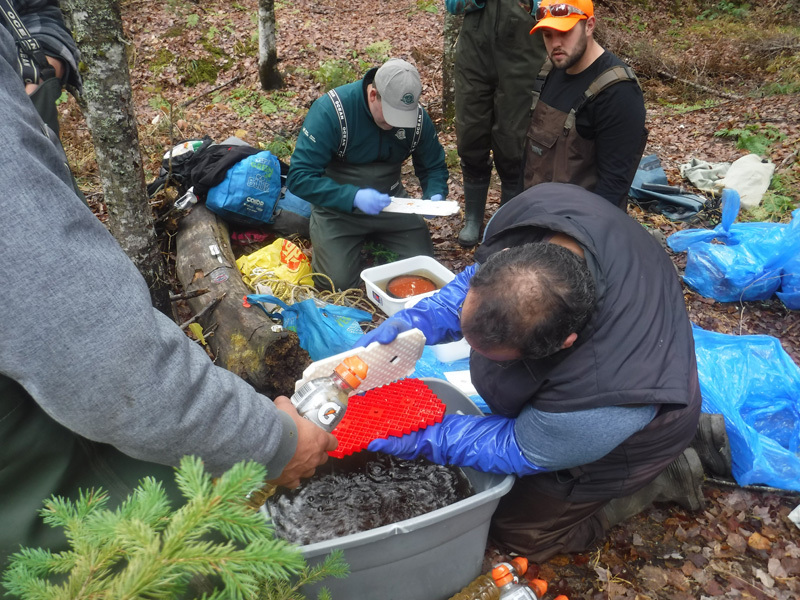 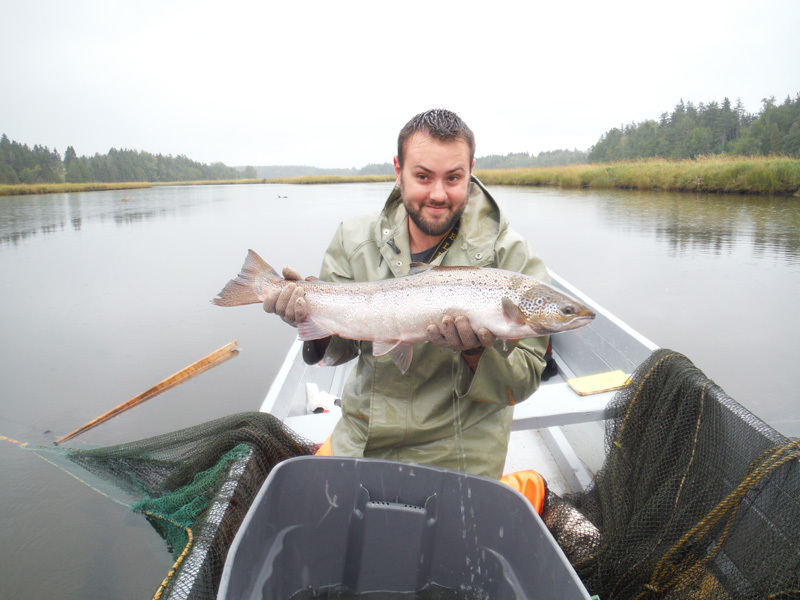 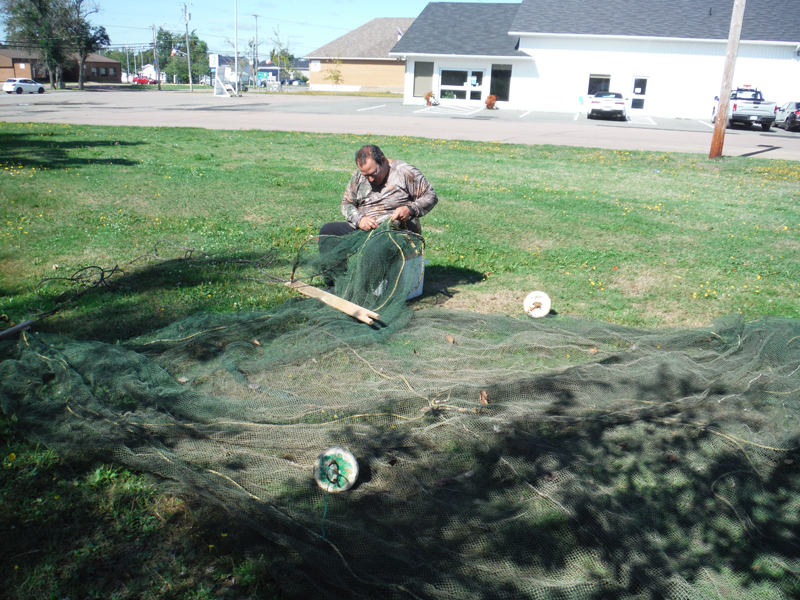 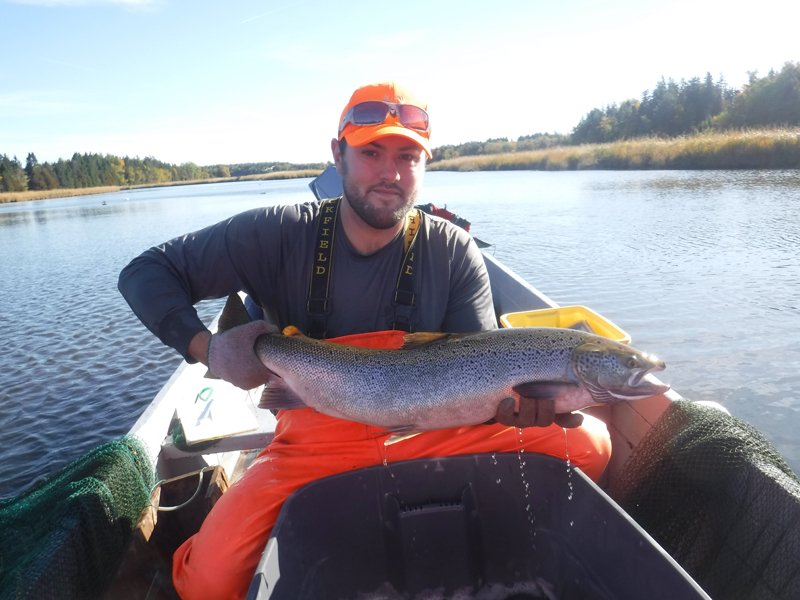 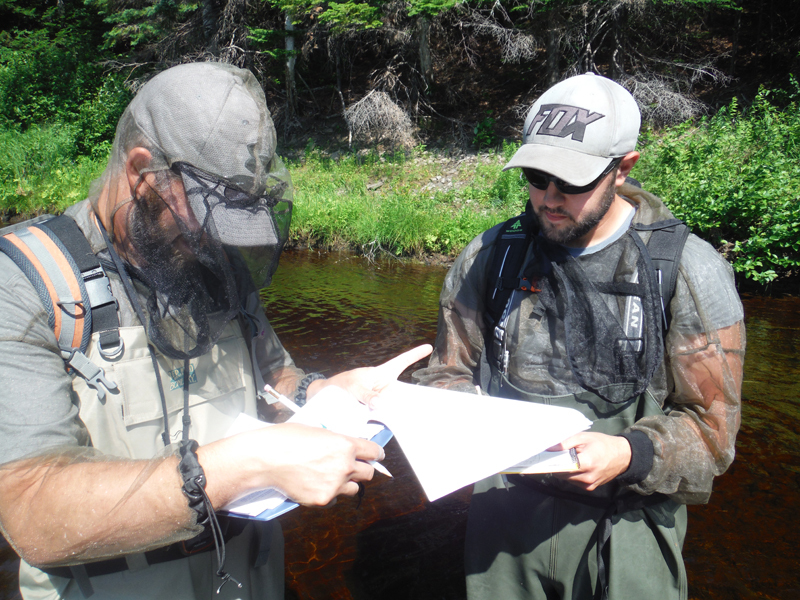 The Atlantic salmon fishing season has been closed on Kouchibouguacis River since 1998 much to the disappointment of the whole community, particularly to local anglers. 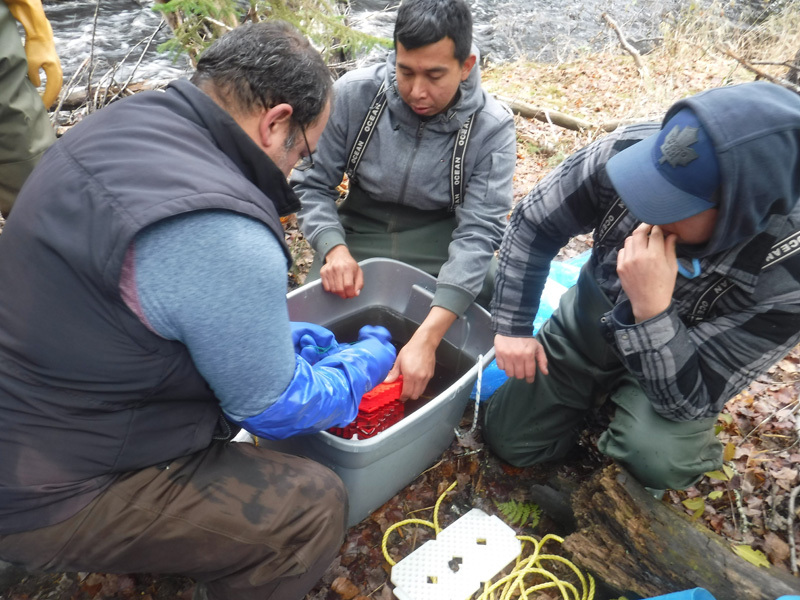 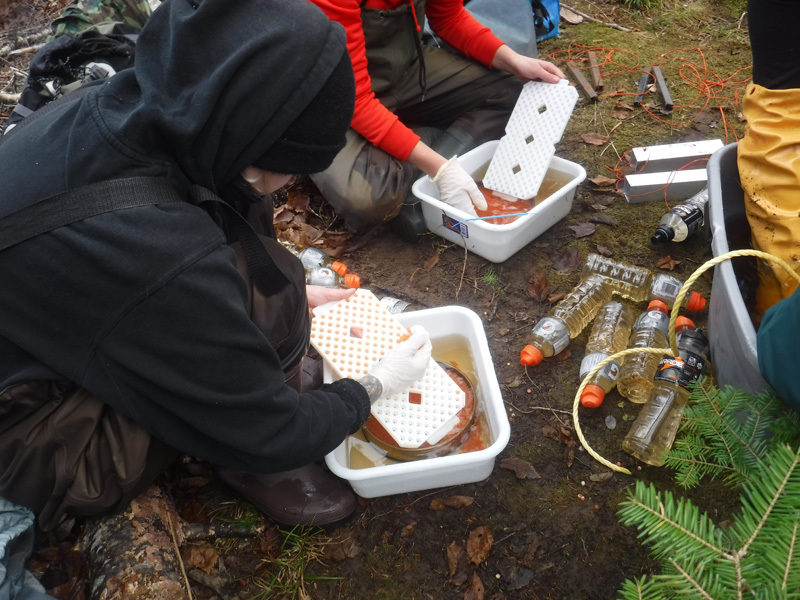 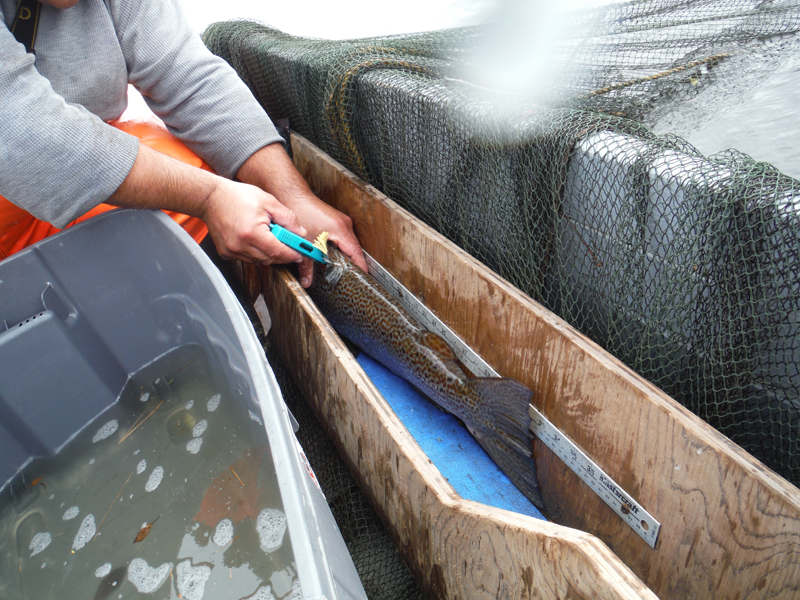 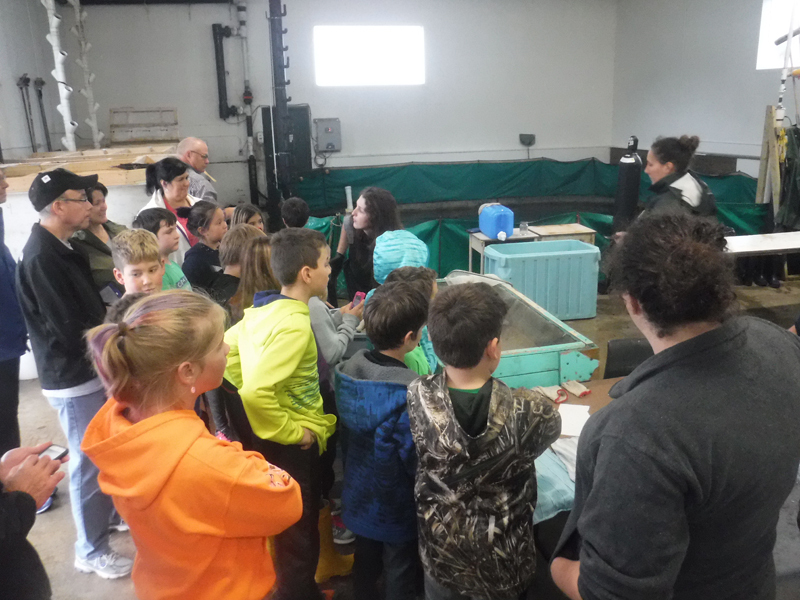 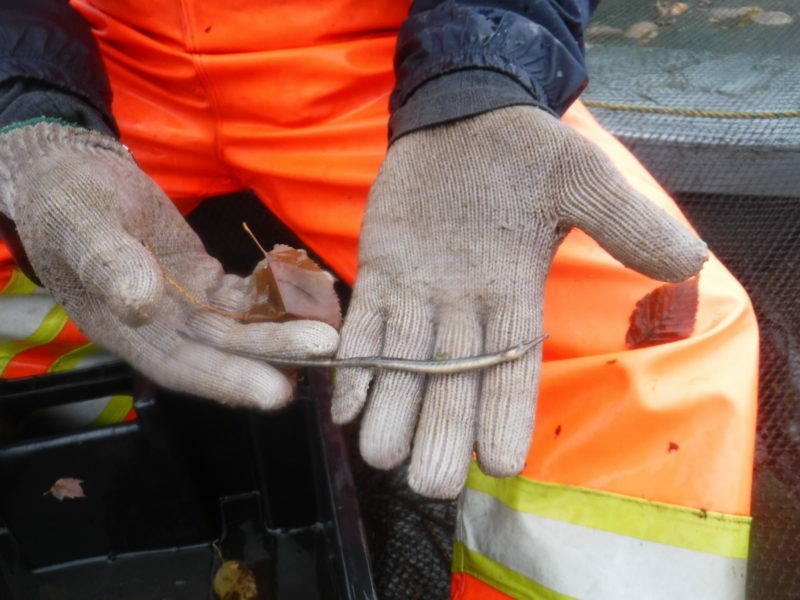 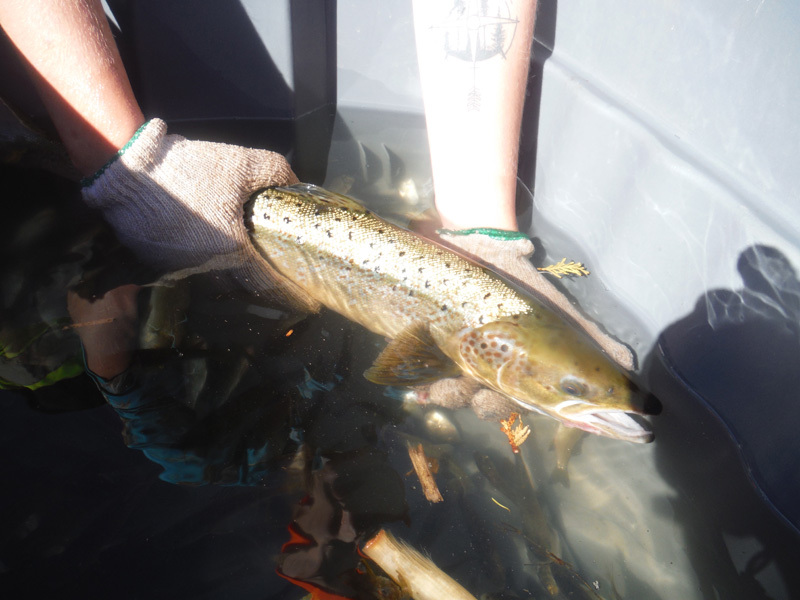 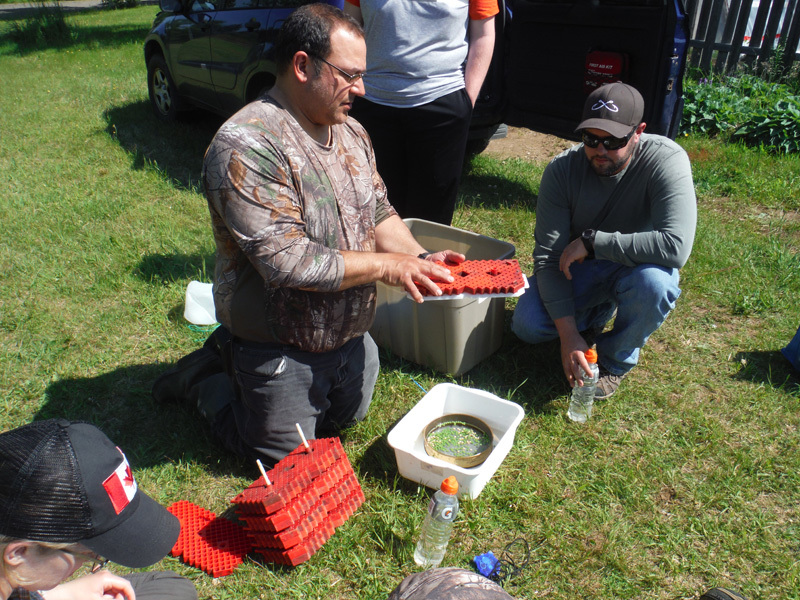 TFK empathizes with local fishermen and are confident that these projects will eventually contribute to the return of salmon population in our watersheds. 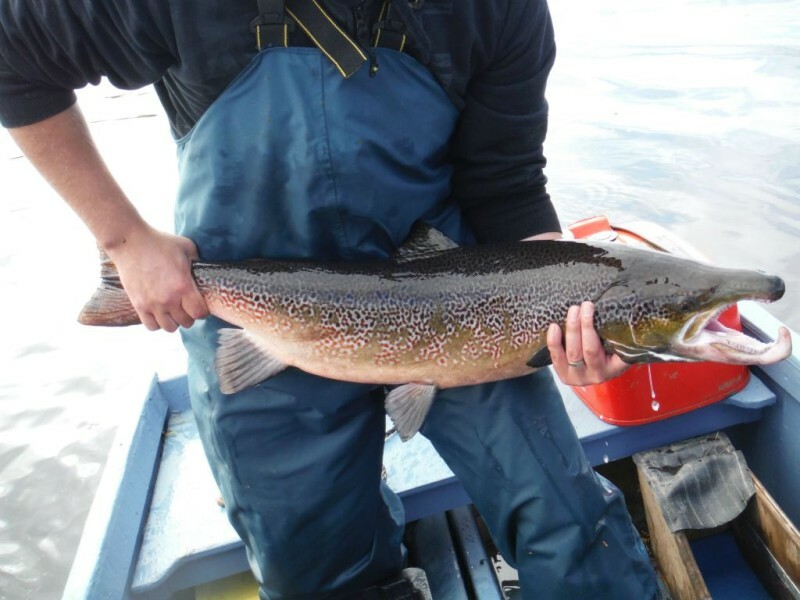 Hopefully it will result in the reopening of a salmon fishing season with all the social and economic benefits that come with it for the people in our communities. 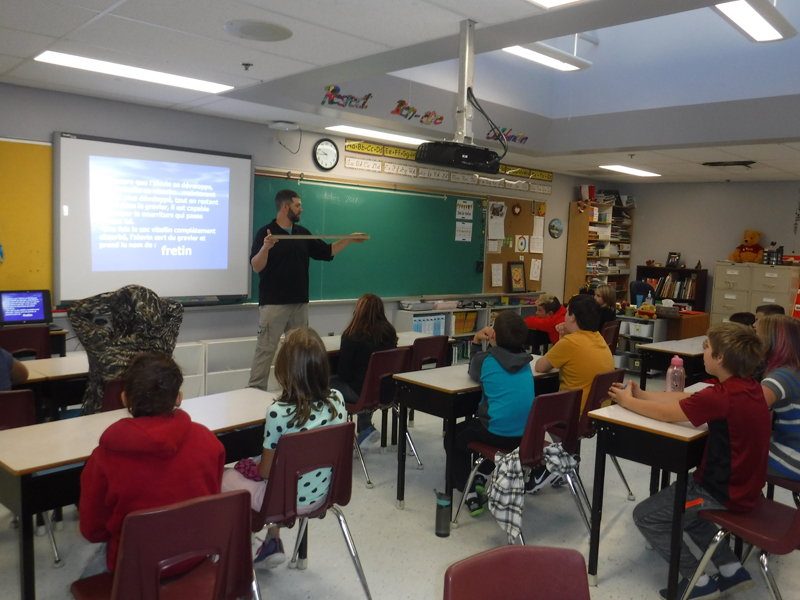 This project has been featured on CBC news you can read the article here and view the video bellow. 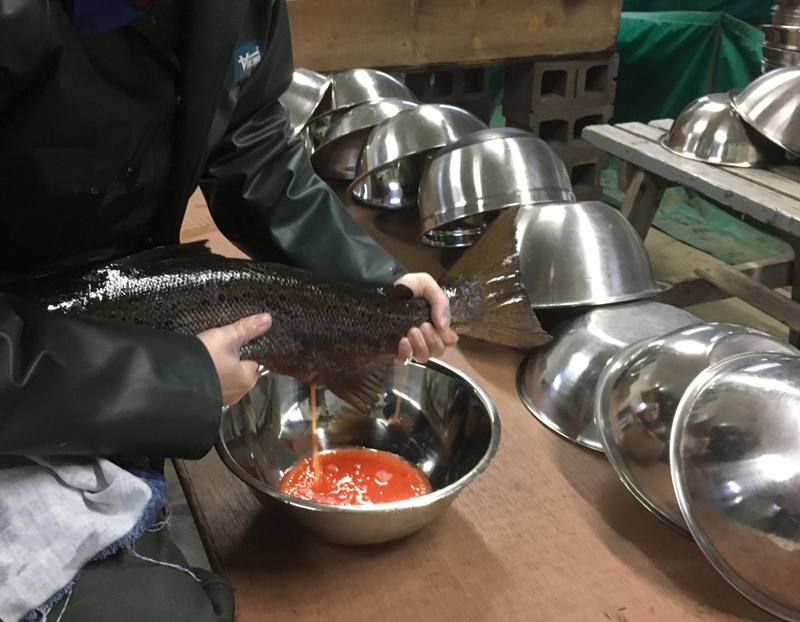 Voici le reportage sur notre projet de saumon qui a été diffusé sur CBC News hier soir. 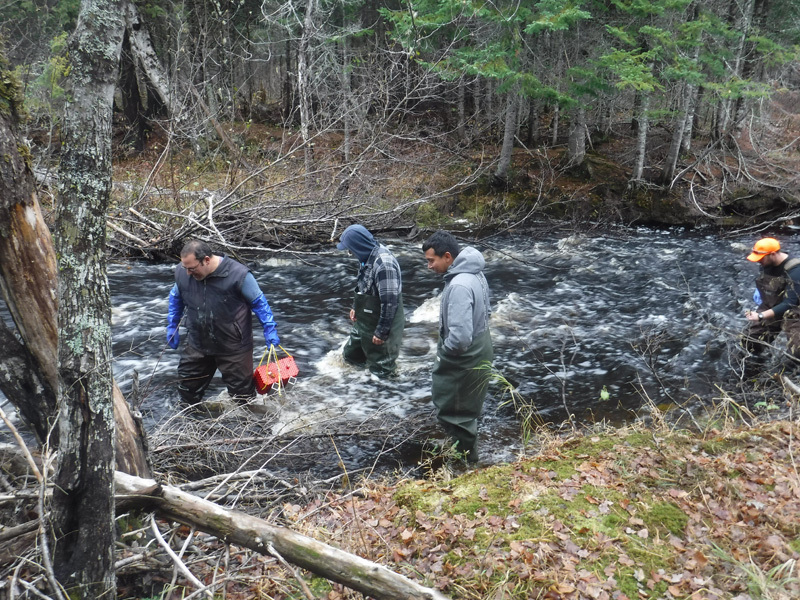 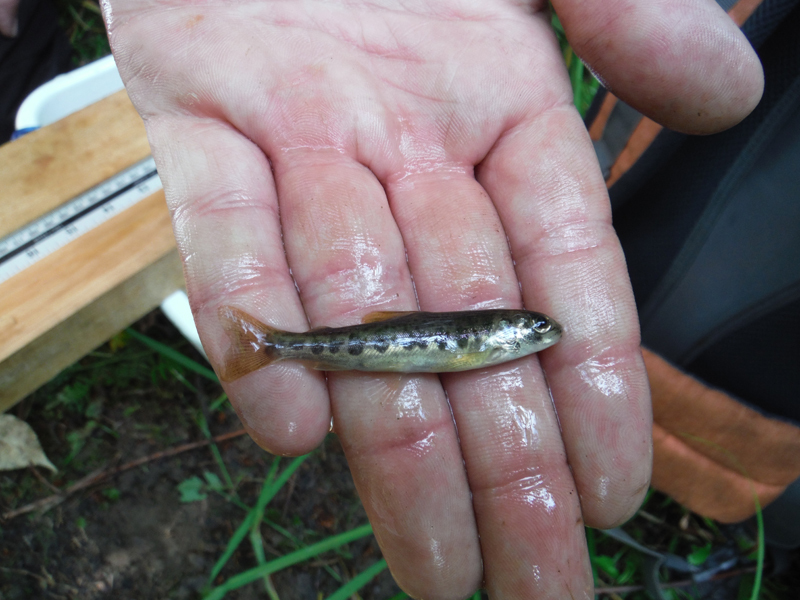 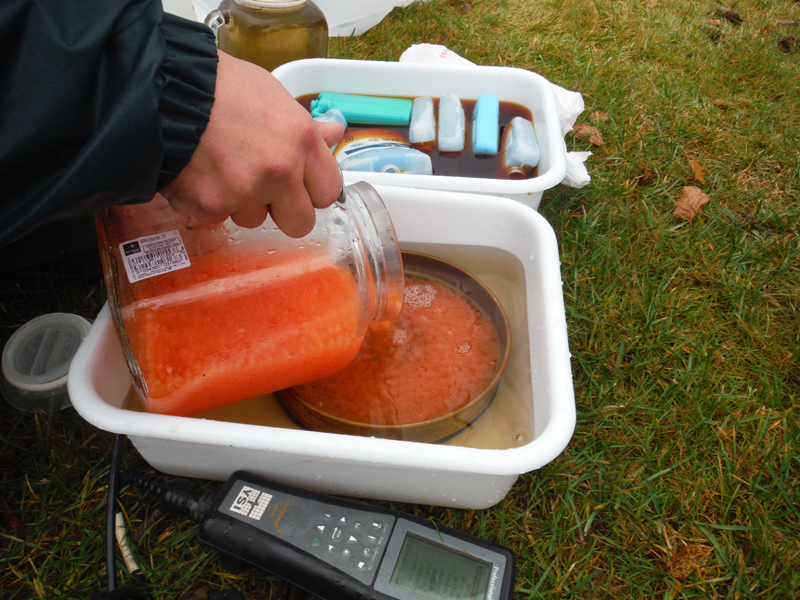 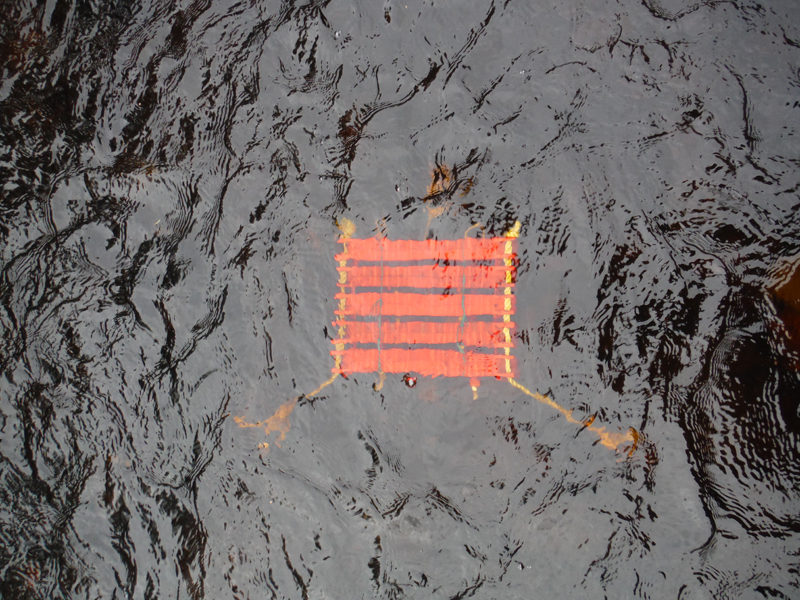 Vous pouvez supporter notre projet en faisant un don a notre levée de fonds gofundme.https://www.gofundme.com/atlantic-salmon-population-recoveryHere is last night's report on our salmon project by CBC News. 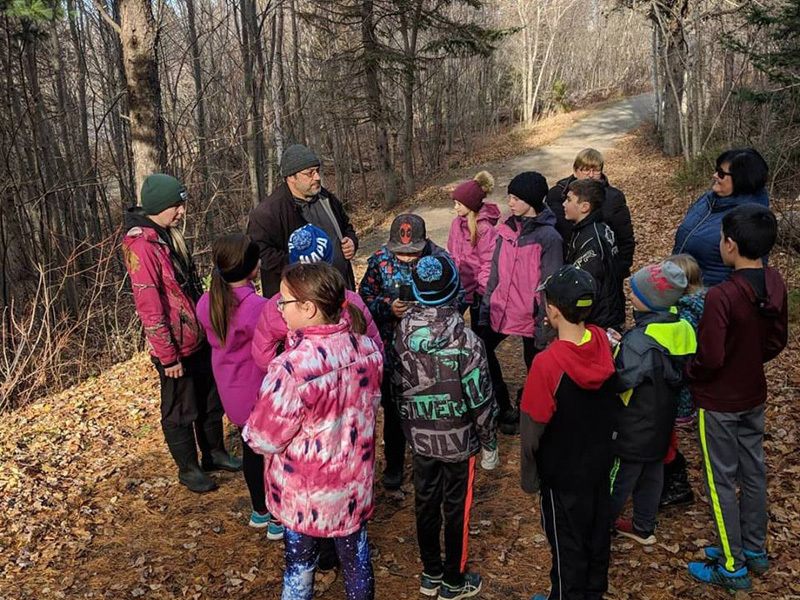 You can help by donating to our gofundme fundraiser. 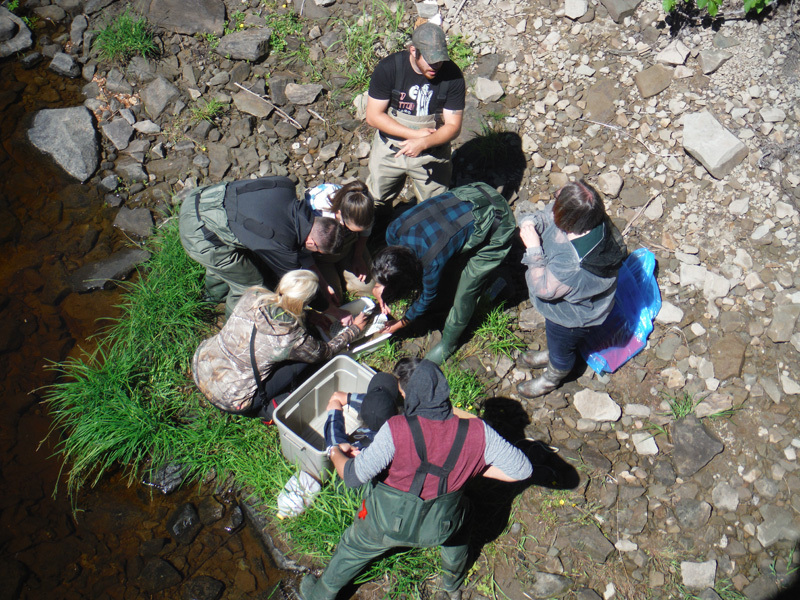 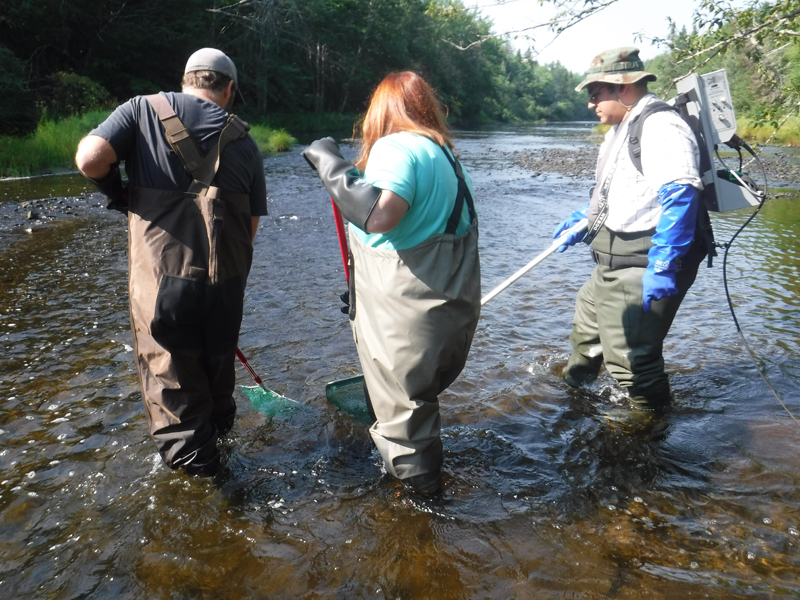 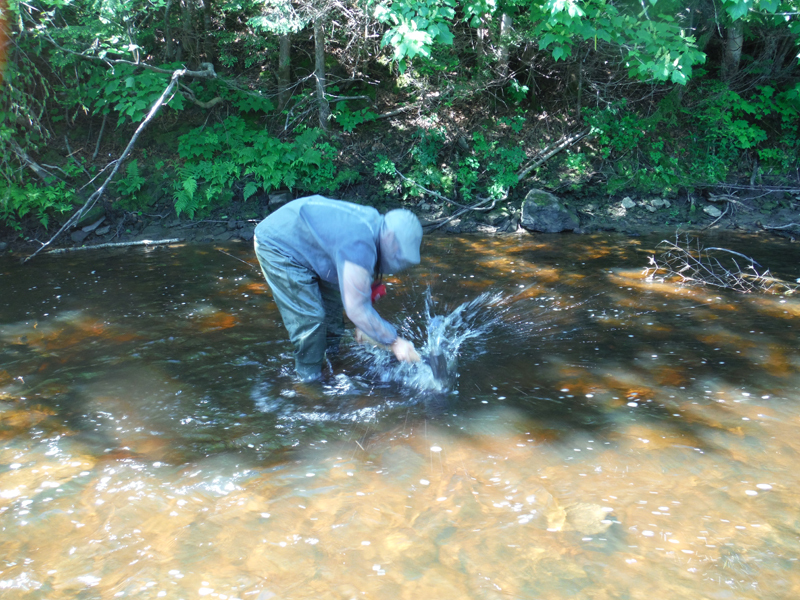 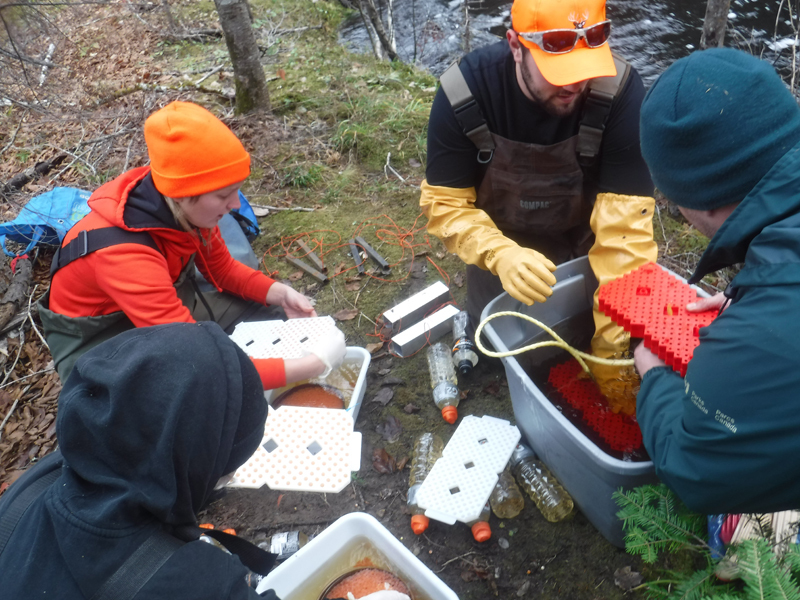 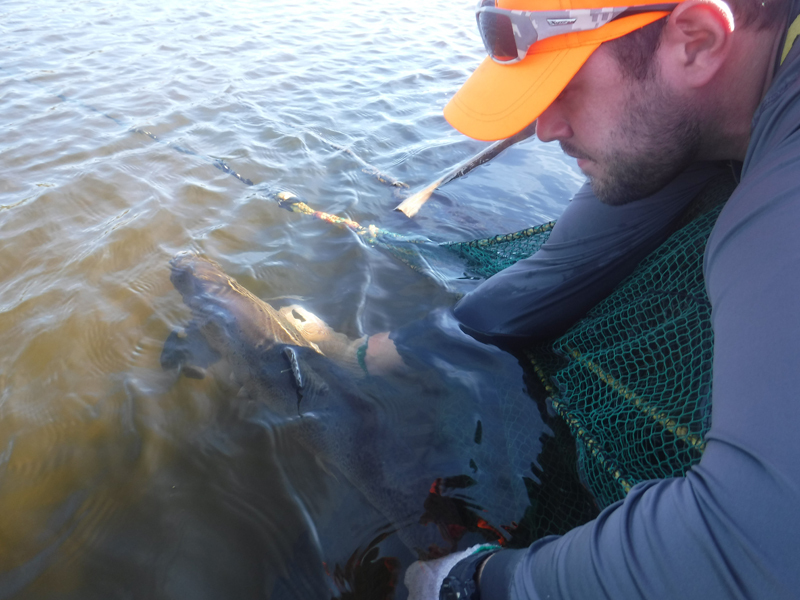 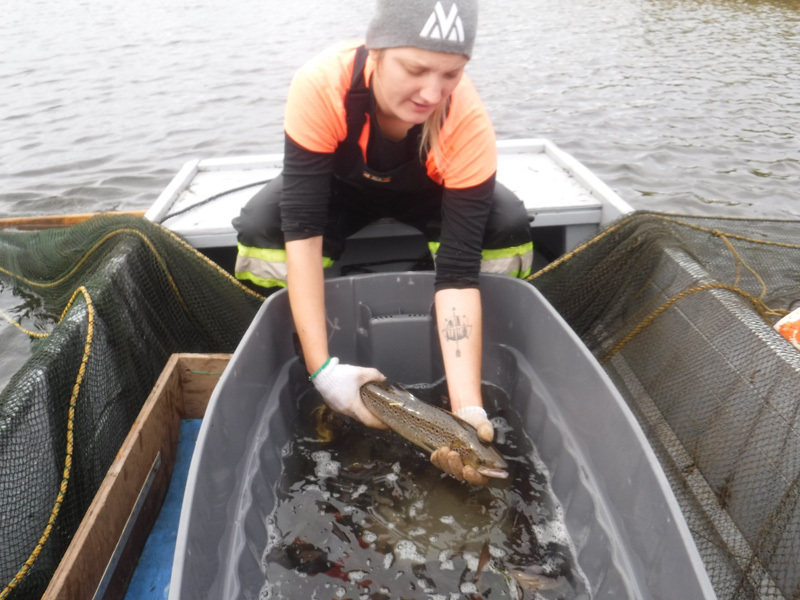 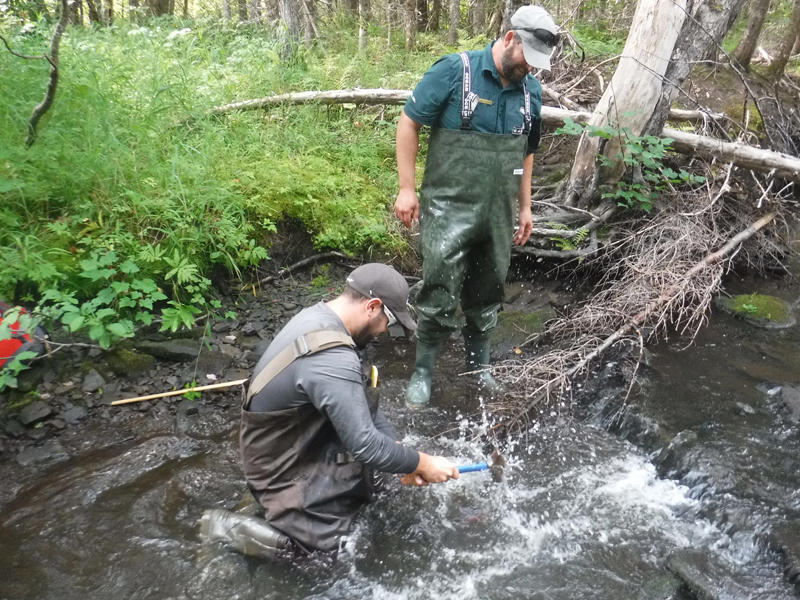 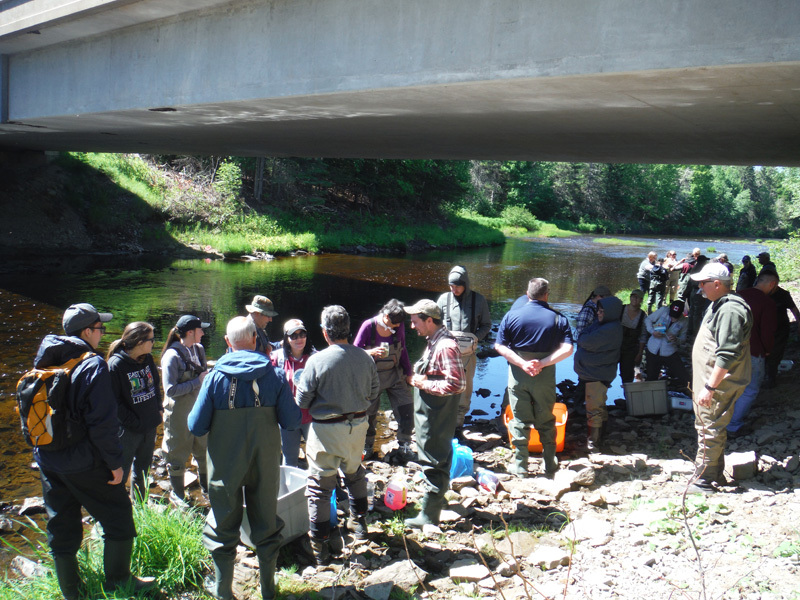 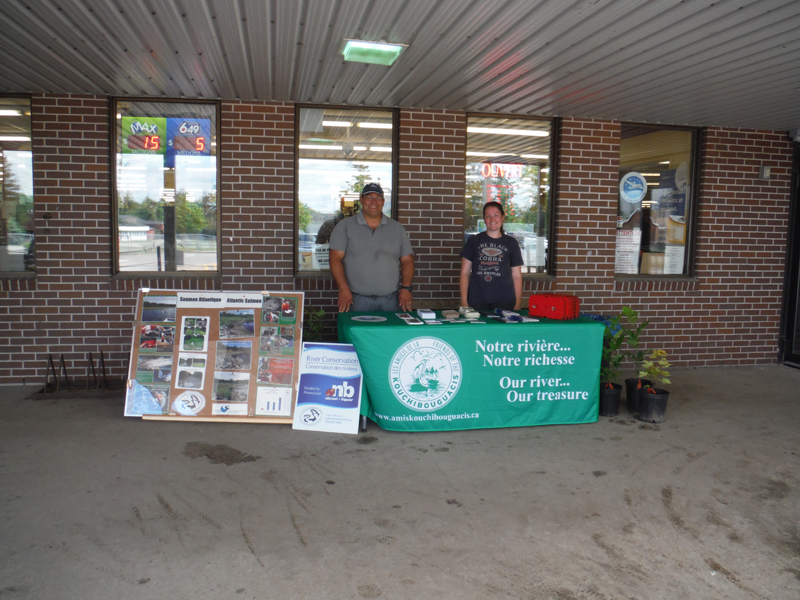 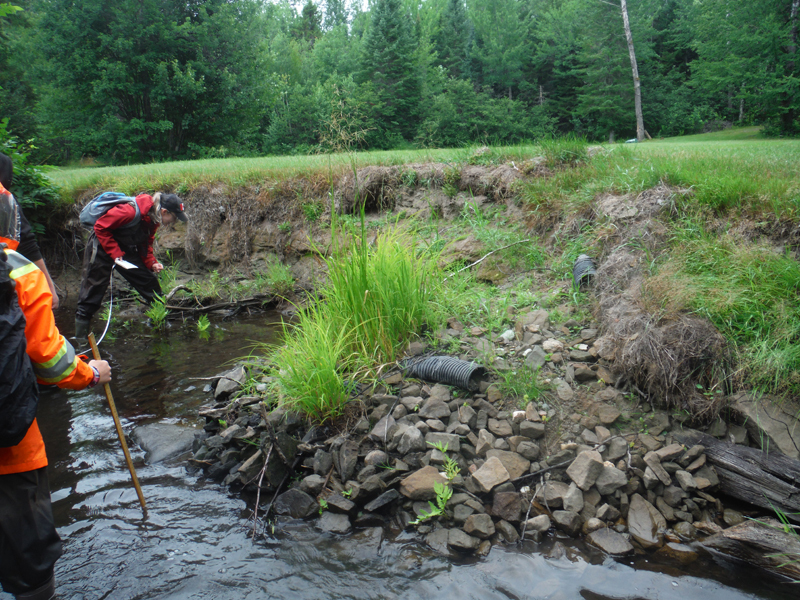 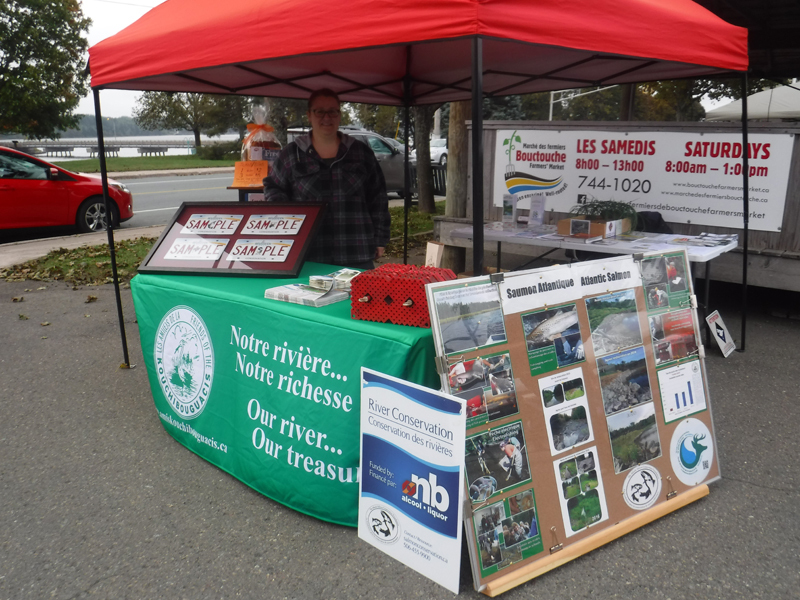 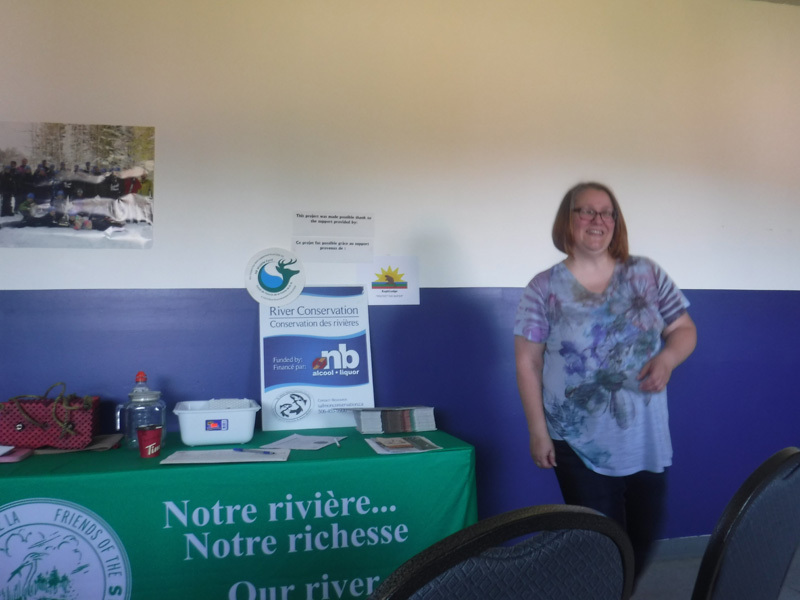 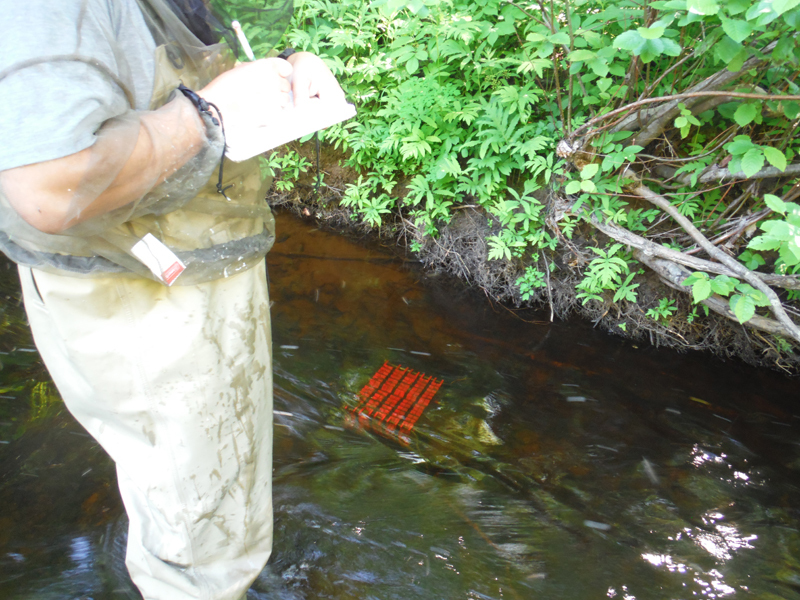 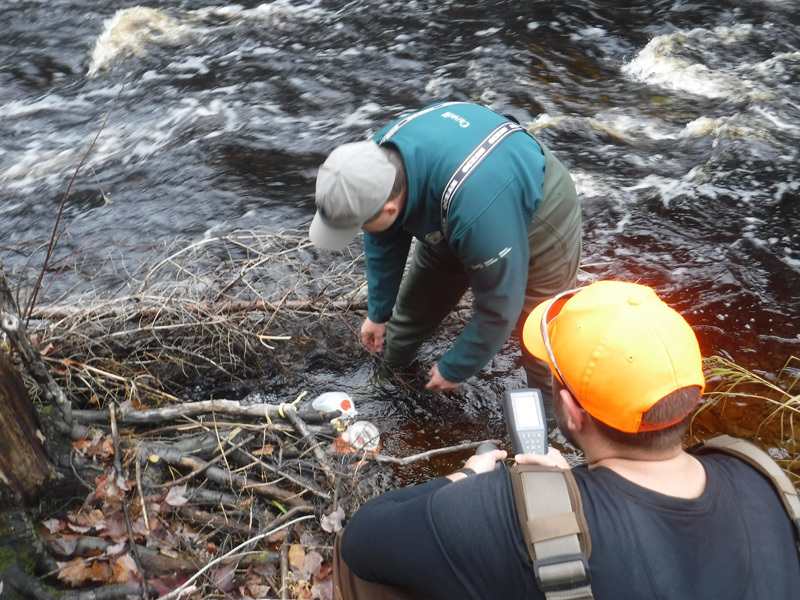 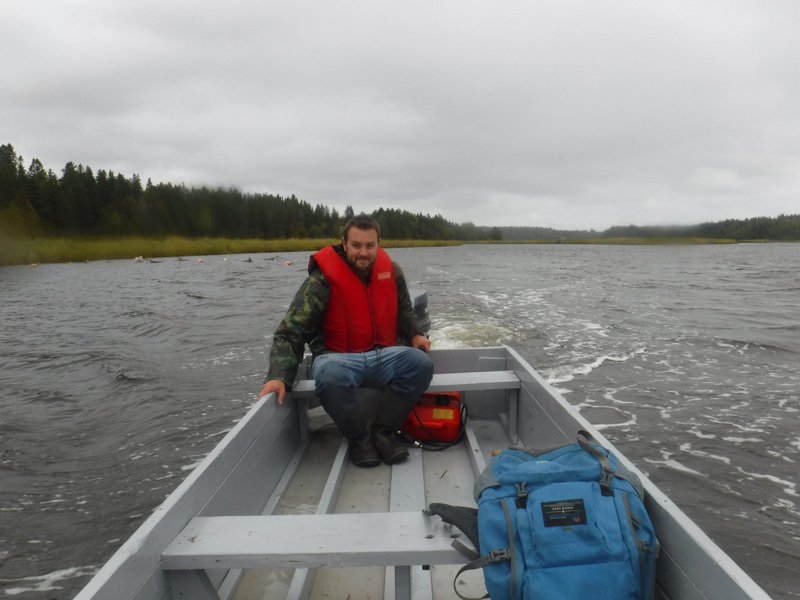 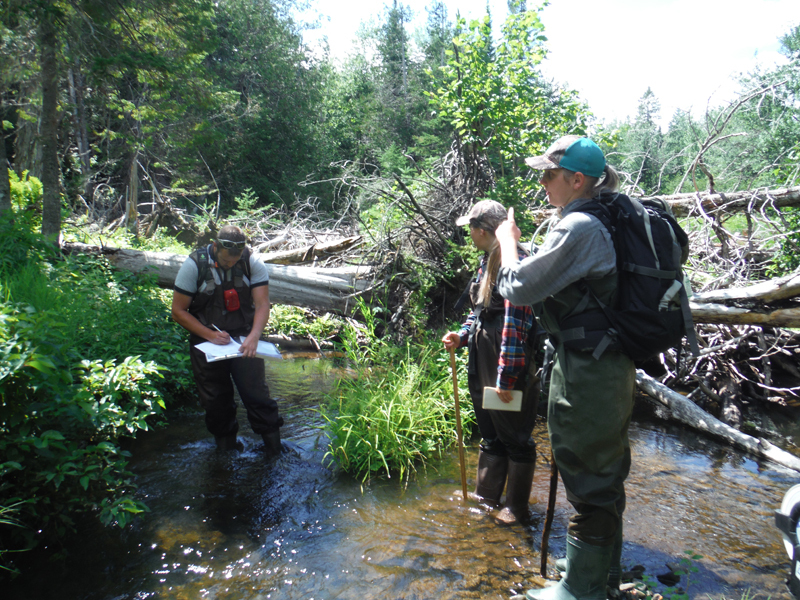 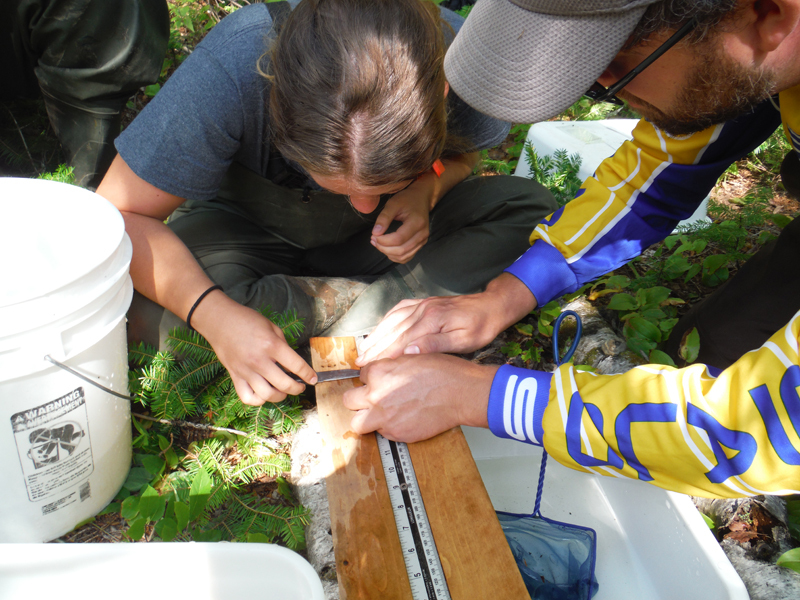 This project is funded by The Atlantic Salmon Conservation Foundation, the New Brunswick Wildlife Trust Fund, and the Coastal Restoration Fund.